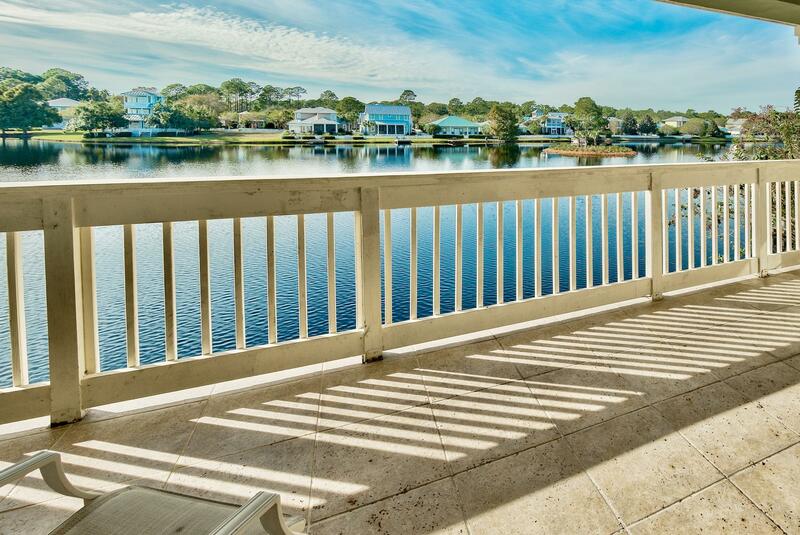 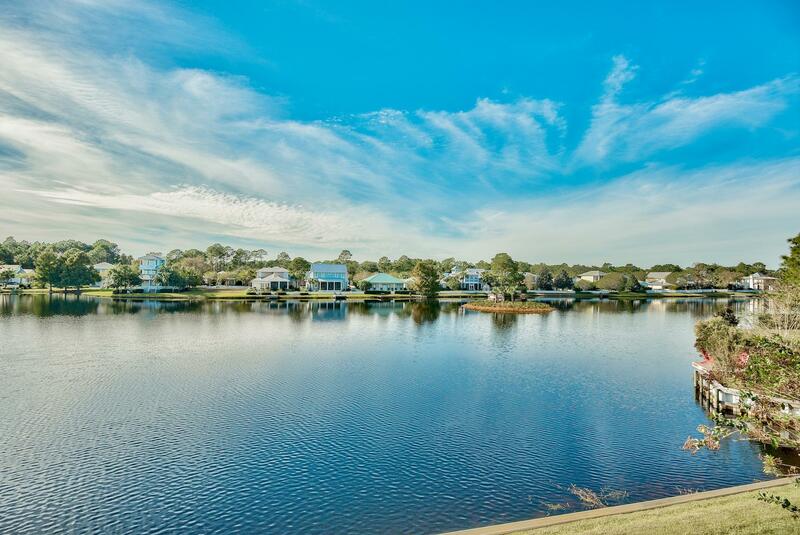 Stunning views across the natural spring fed Crystal Lake can be taken in from this spacious resort home's over-sized terrace. 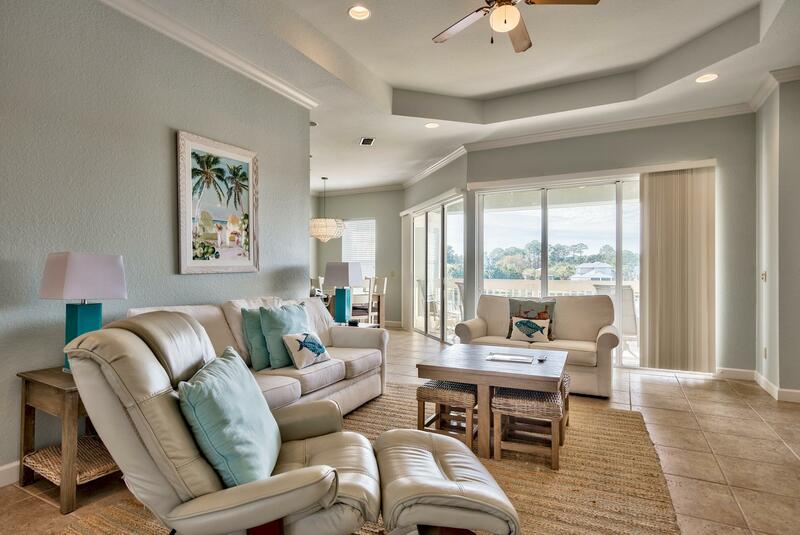 Sliding glass doors from the living and dining areas bring in an abundance of natural sunlight. 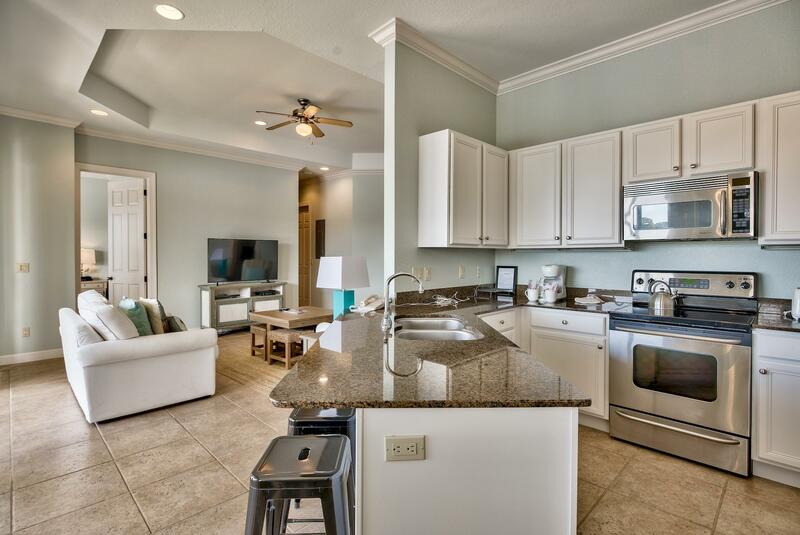 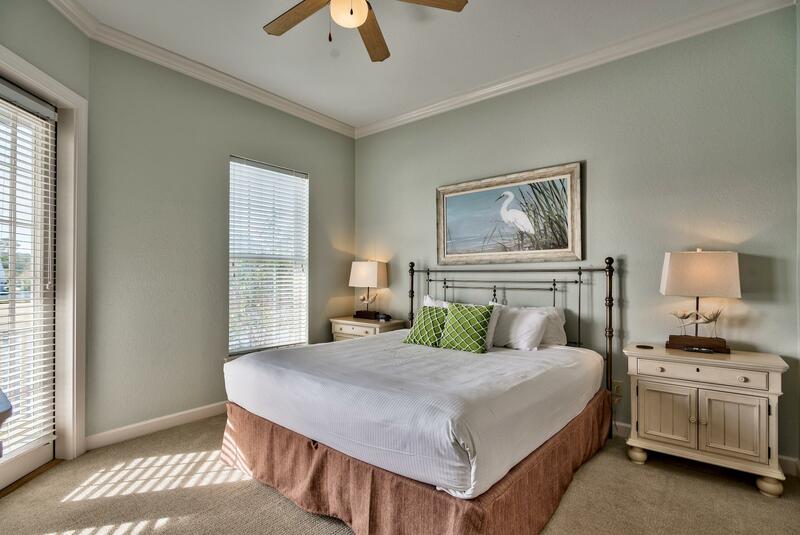 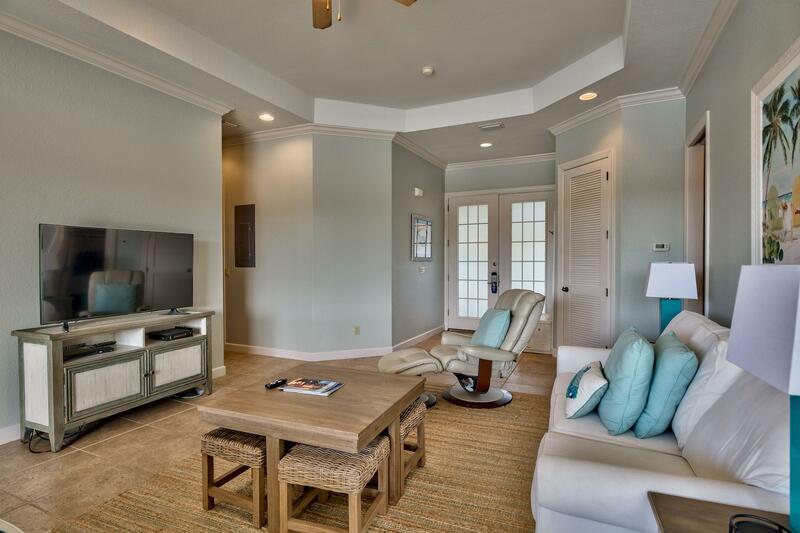 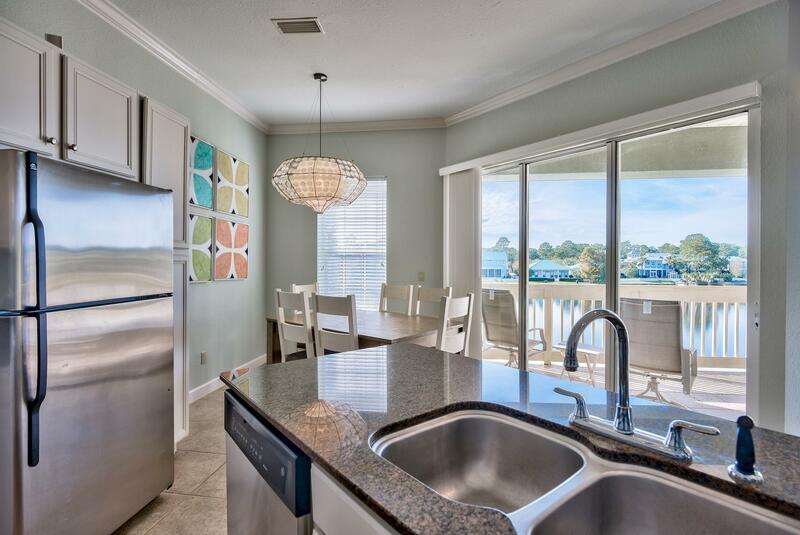 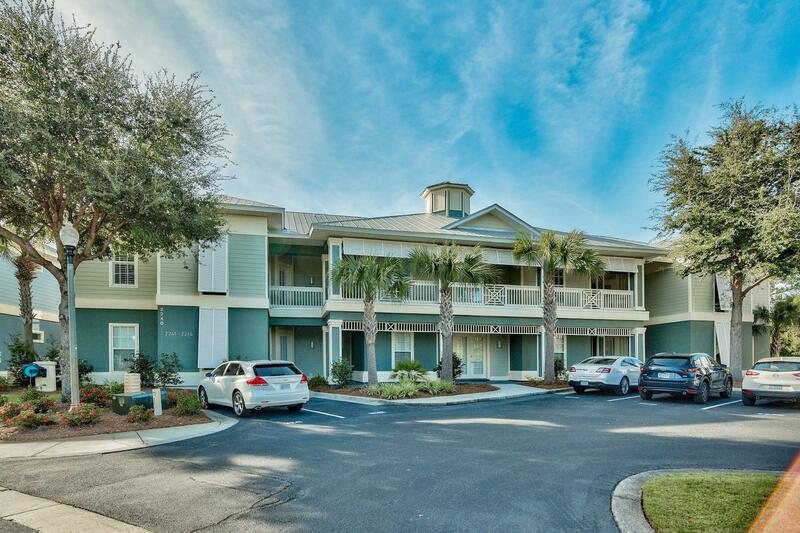 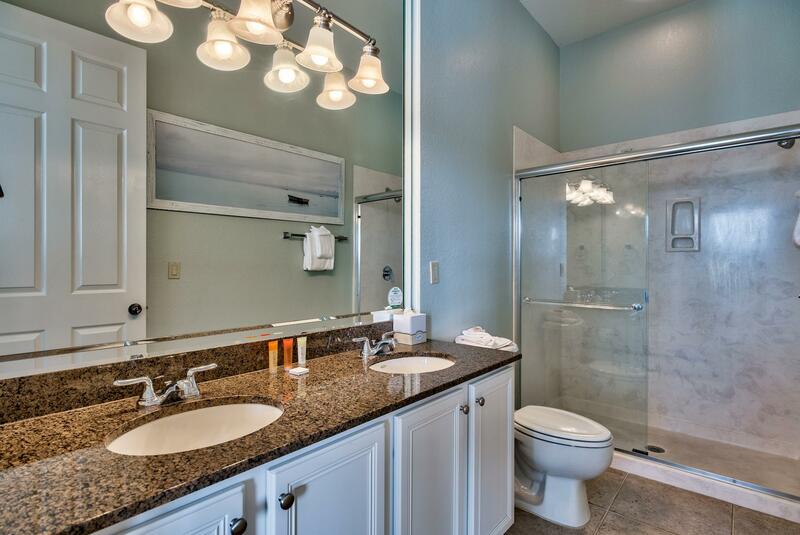 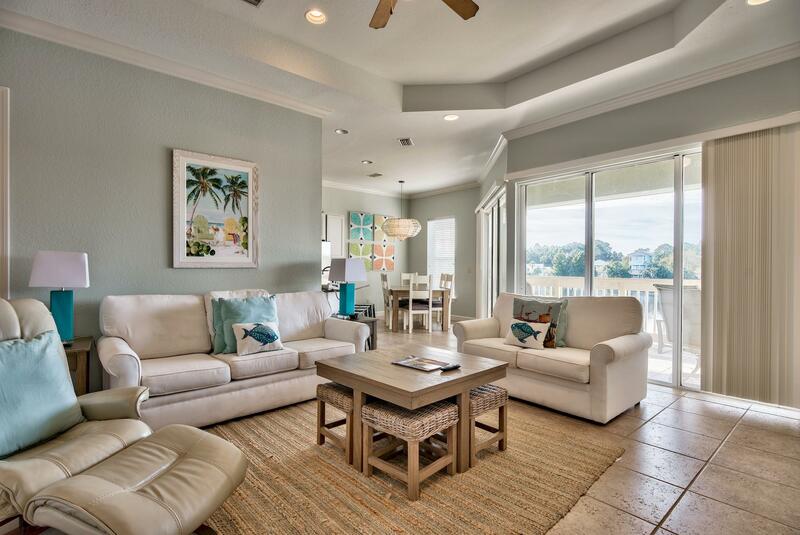 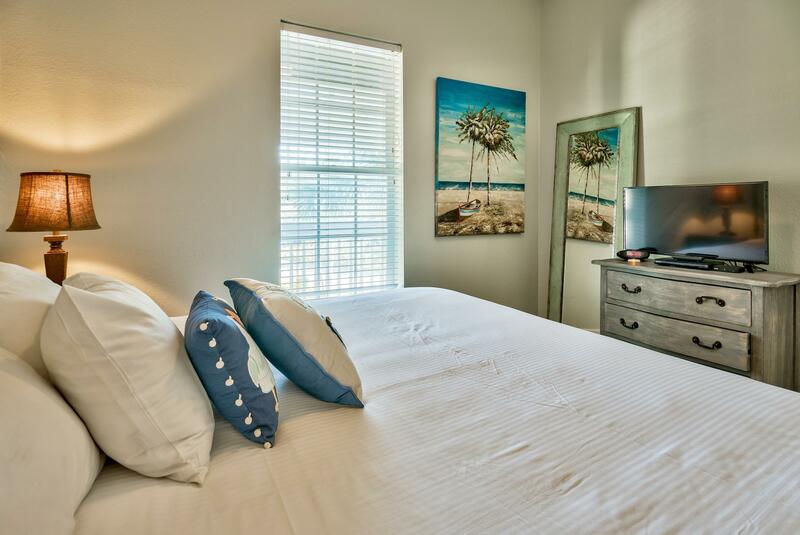 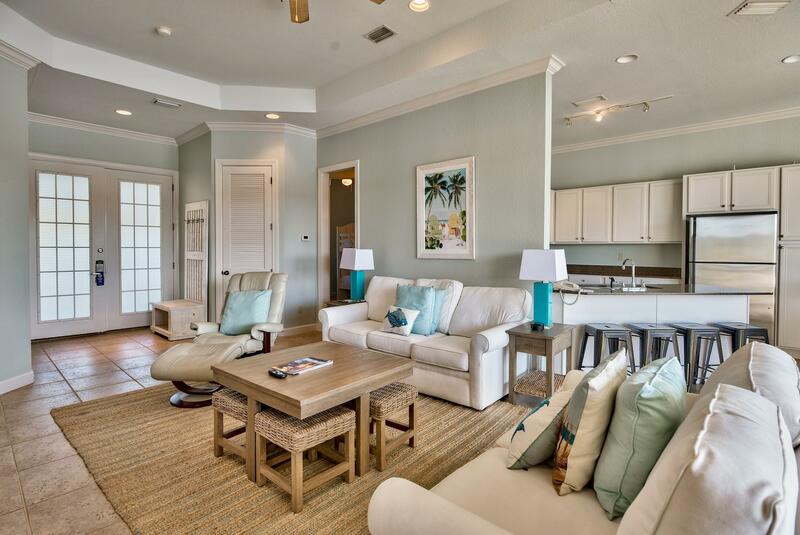 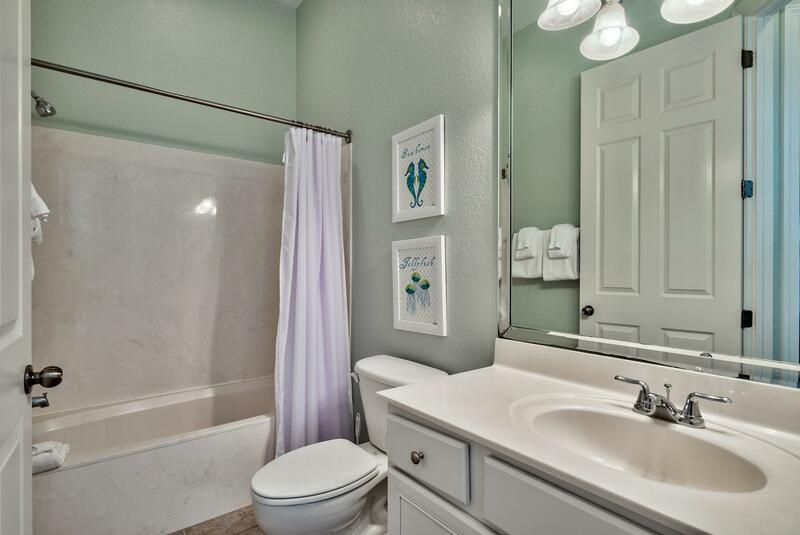 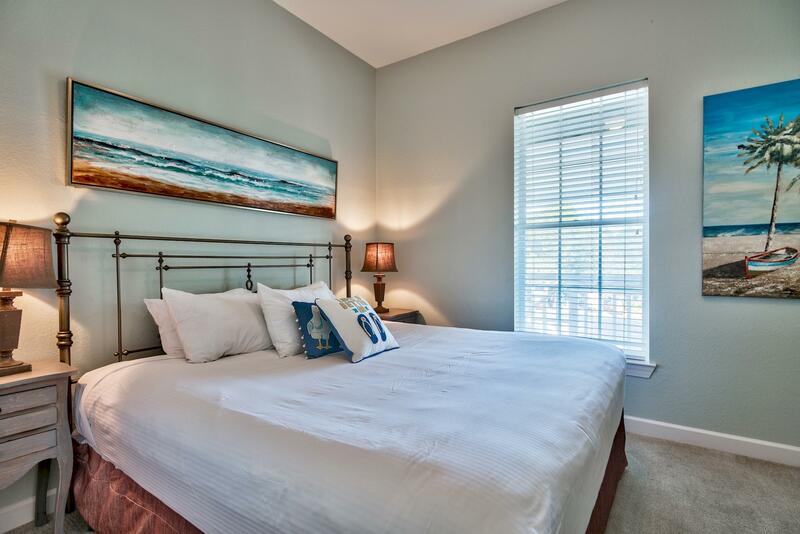 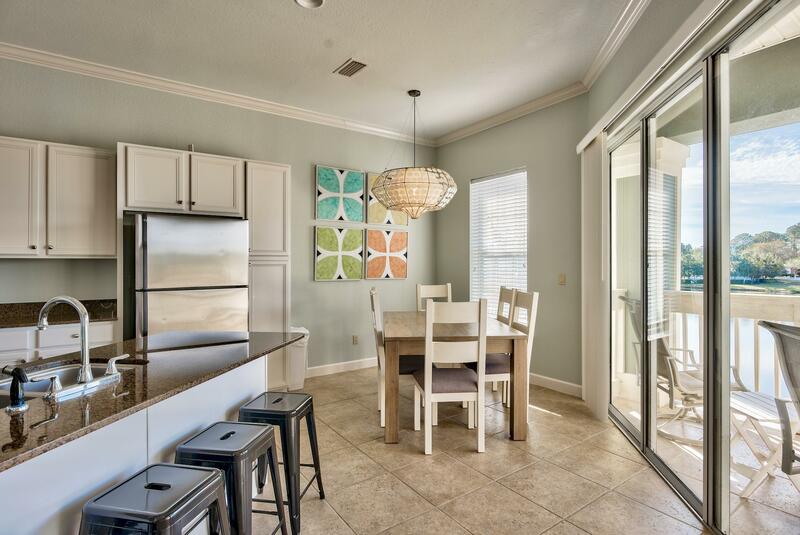 Fully furnished in a cool coastal style this condo has a living area with tile and crown molding flowing through to the dining area and kitchen, which features stainless steel appliances and granite counter tops. 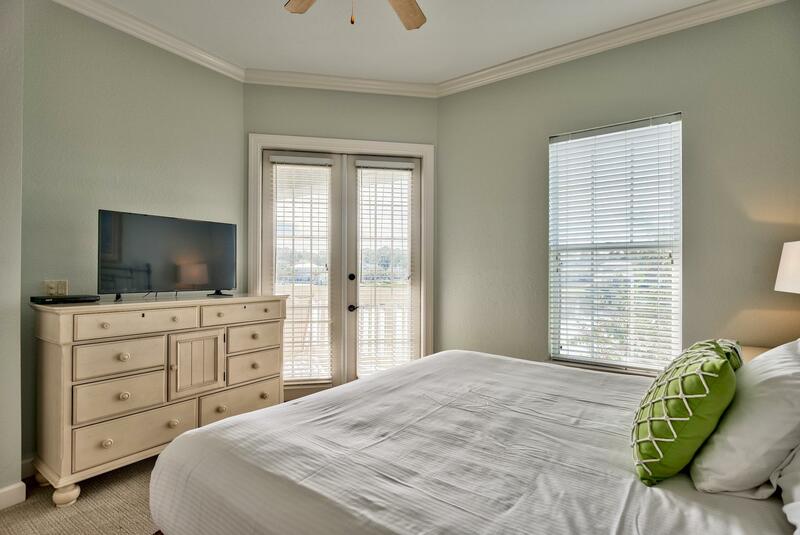 The master bedroom has french doors accessing the terrace and an en suite bathroom with double granite vanity and large walk-in shower. 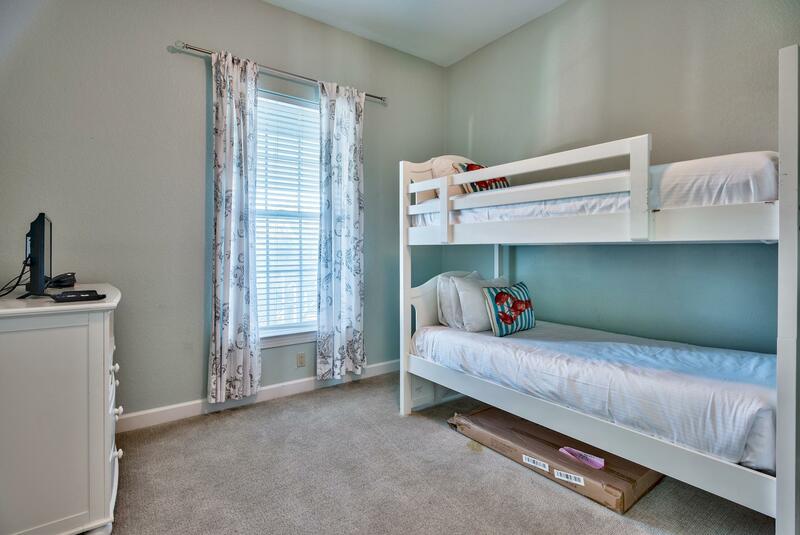 There are two guest bedrooms, each with private bath, one with a queen size bed and the other with bunk beds providing plenty of room for family and guests.